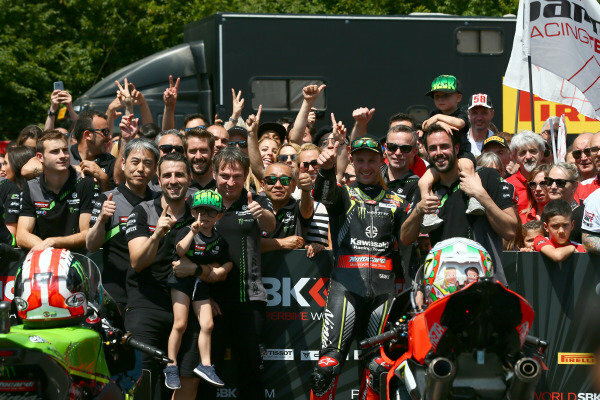 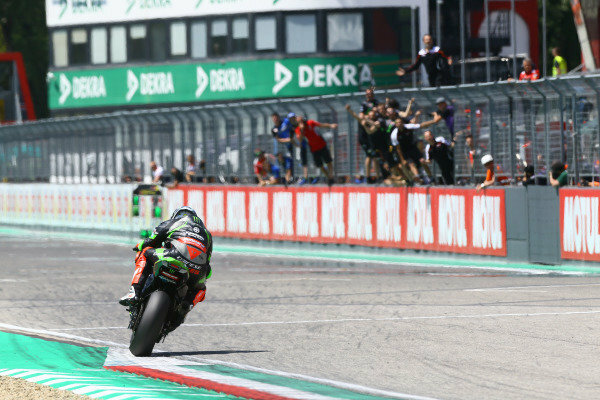 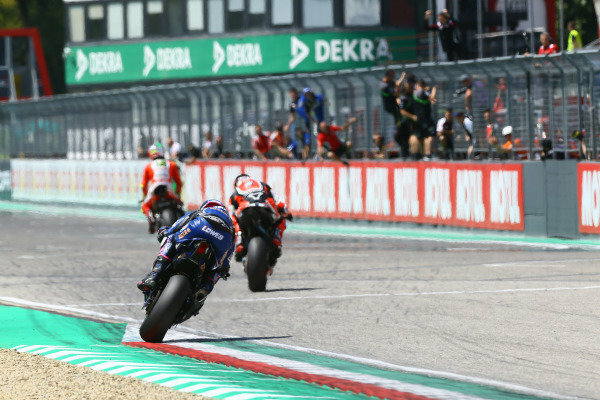 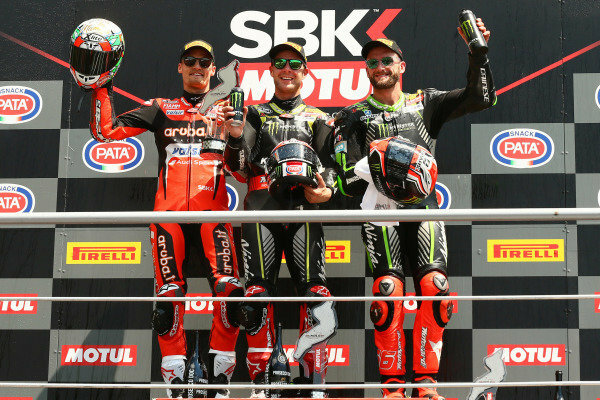 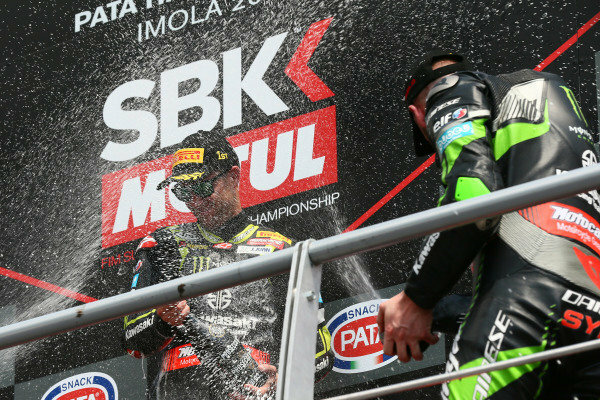 Podium: race winner Jonathan Rea, Kawasaki Racing, second place Chaz Davies, Aruba.it Racing-Ducati SBK Team, third place Tom Sykes, Kawasaki Racing. 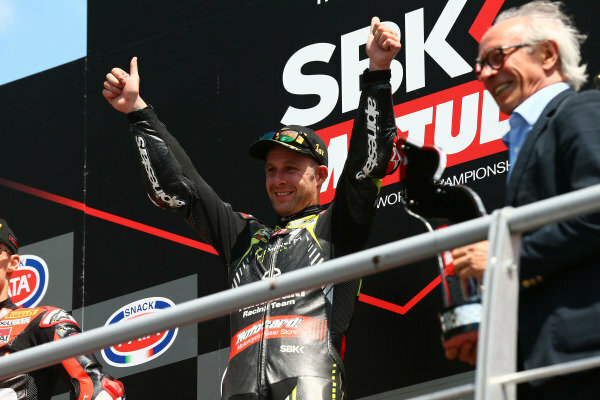 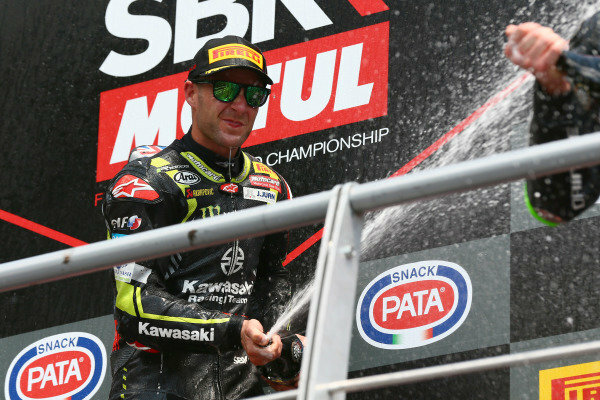 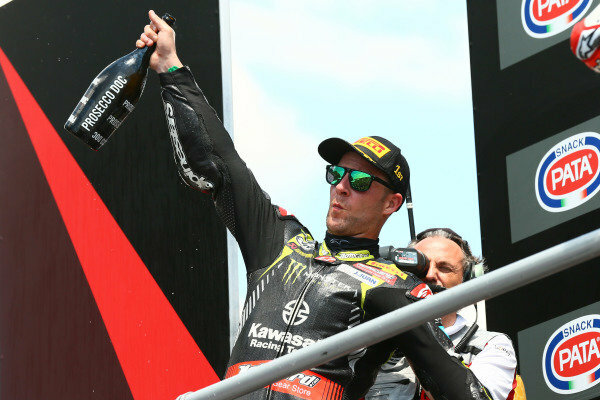 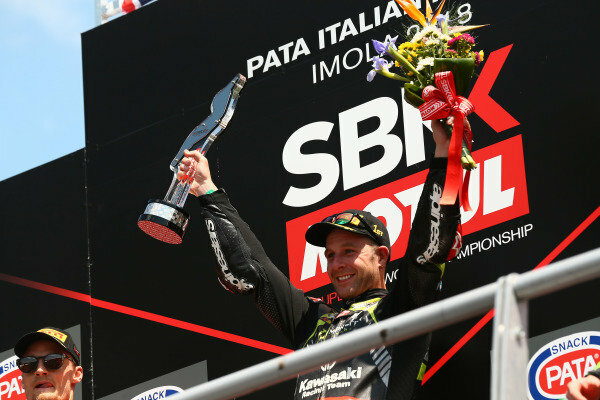 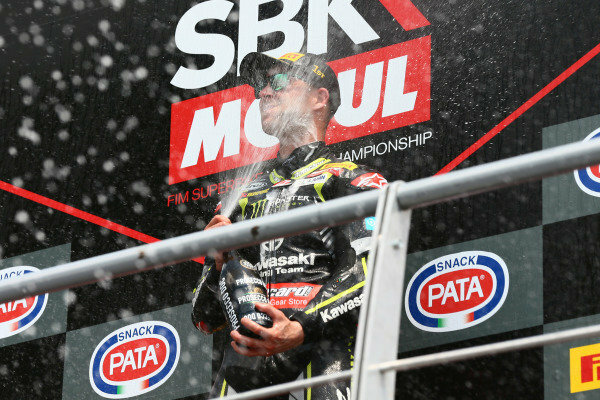 Podium: race winner Jonathan Rea, Kawasaki Racing. 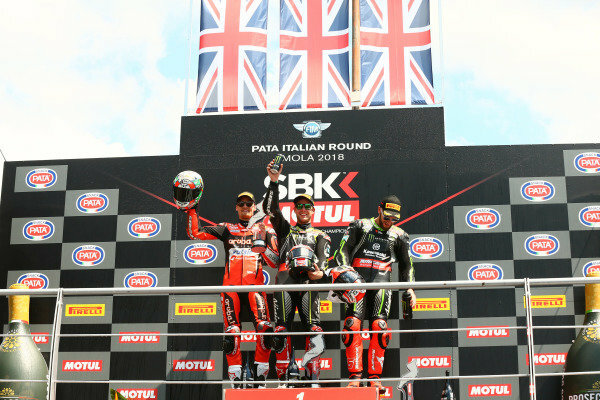 Podium: race winner Jonathan Rea, Kawasaki Racing, third place Tom Sykes, Kawasaki Racing. 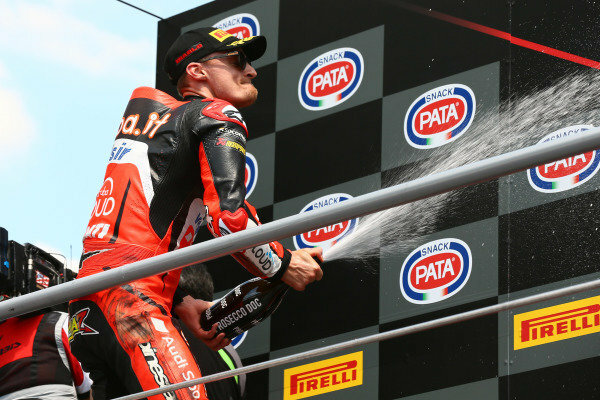 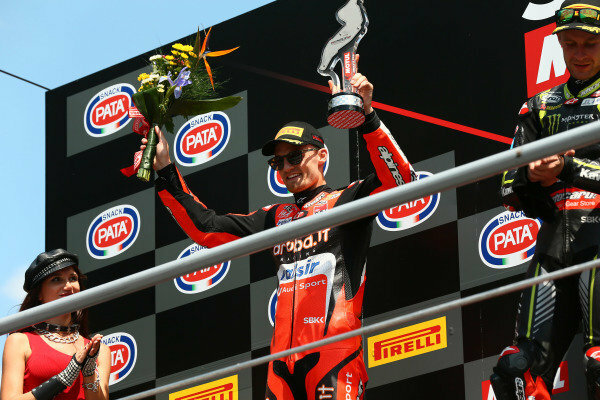 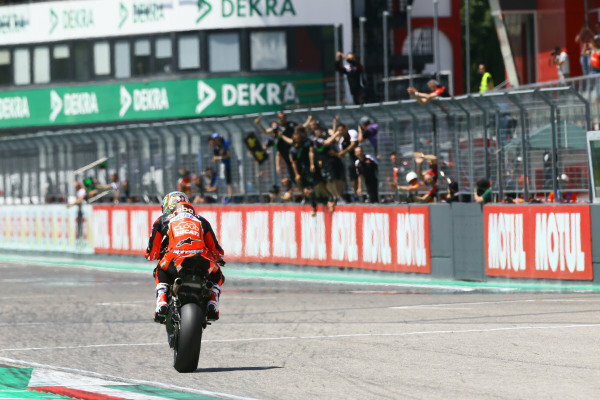 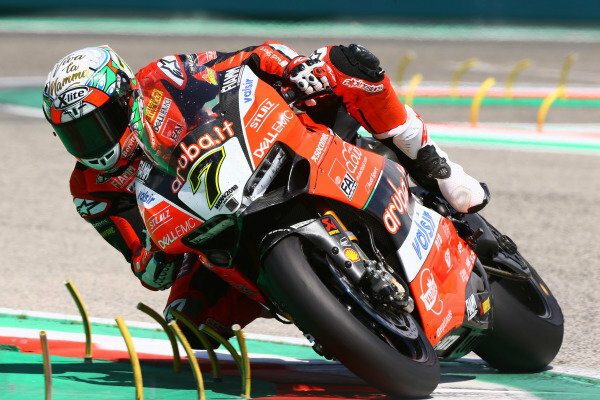 Podium: second place Chaz Davies, Aruba.it Racing-Ducati SBK Team. 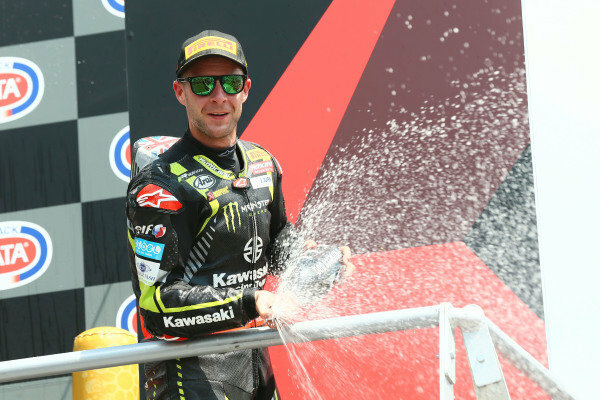 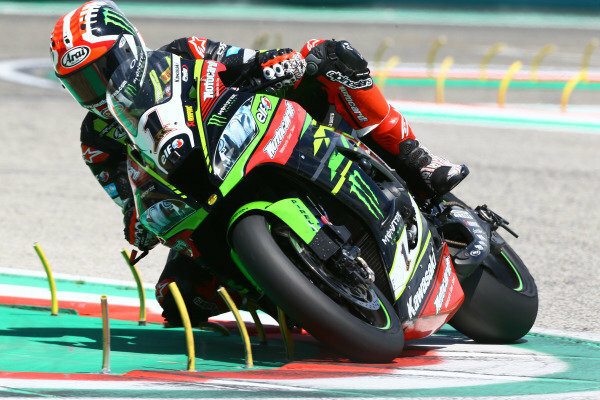 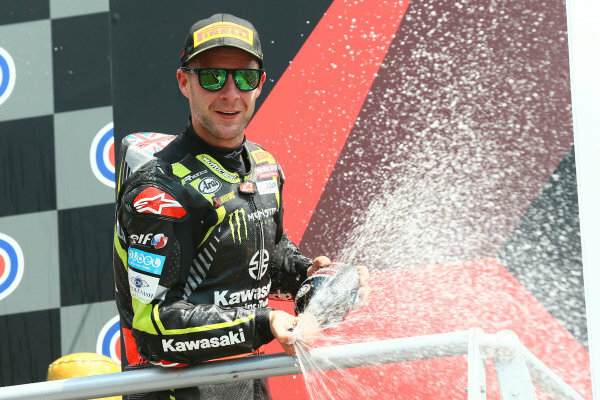 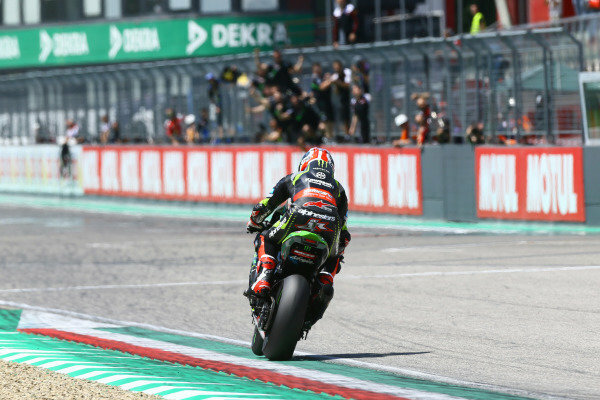 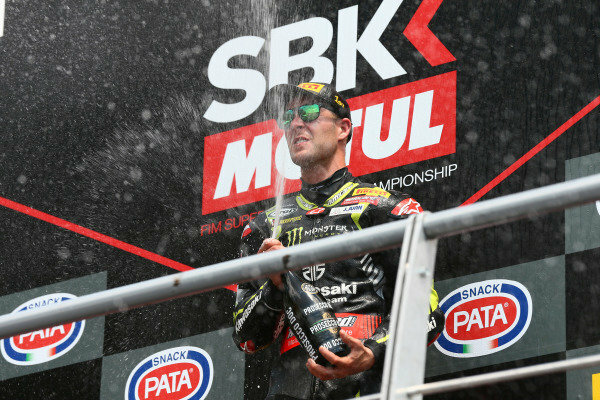 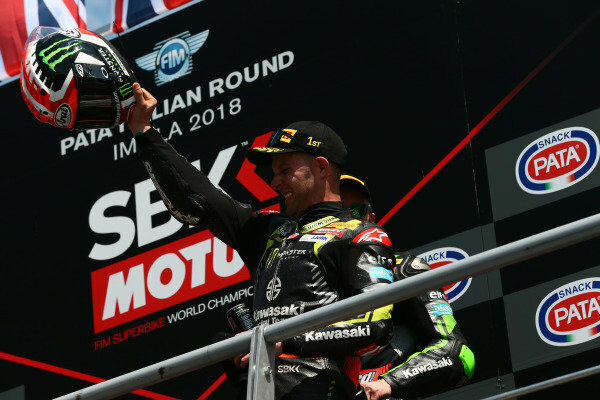 Race winner Jonathan Rea, Kawasaki Racing. 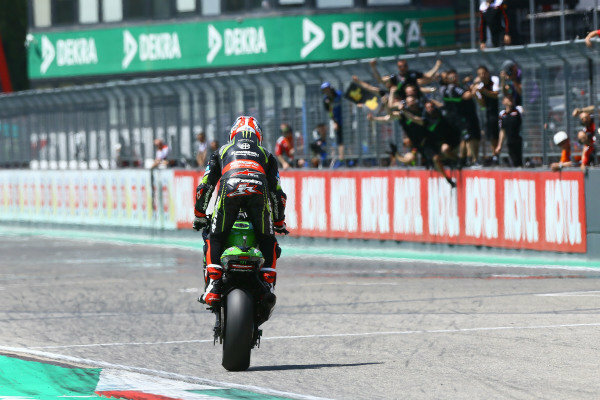 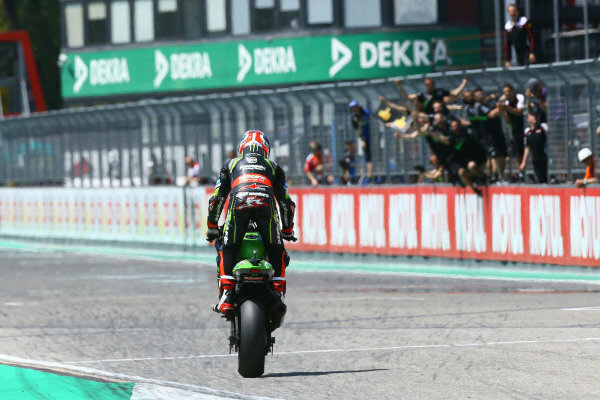 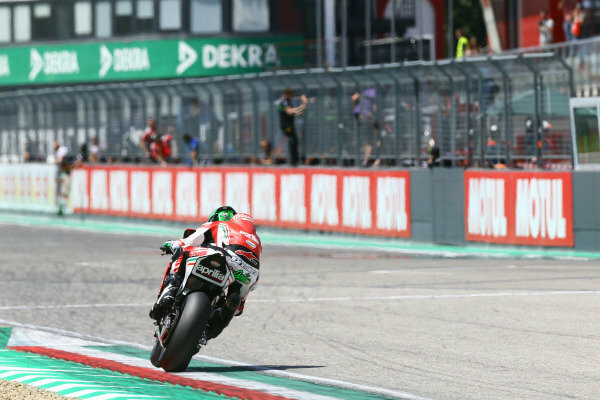 Jonathan Rea, Kawasaki Racing wheelies over the line.